Participants will leave this workshop equipped with effective strategies and engaging techniques to use the next day and improve RTI processes. 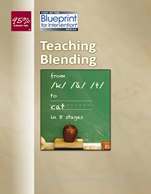 All K-1 workshop attendees will receive a copy of Teaching Blending®, a $48 value, to use in their classroom. 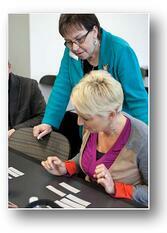 For more information contact us at workshops@95percentgroup.com. No matter where you are in your RTI implementation, all participants will walk away from this 2-5 workshop equipped with effective strategies and engaging instructional techniques that can be confidently used in the classroom. 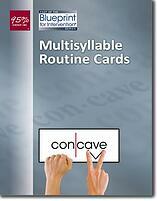 2-5 workshop attendees will receive a copy of Multisyllable Routine Cards® (MSRC), an $85 value, to use in their classroom. Complimentary registration is provided for any elementary Principal that attends with 2 or more registered staff members from the same school, attending either the K-1 or 2-5 session. All participants must complete a registration form.